For those who just got the new LG OLED TVs, this is LG’s TV mount. It’s quite slim and your TV can be mounted as close to wall as possible. Some people found their wall has wider pitch of studs than this mount. 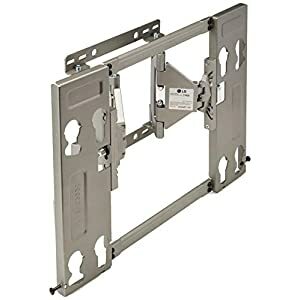 If you can work around the studs issue, or for those who has studs that match this mount, it is a good TV wall mount.